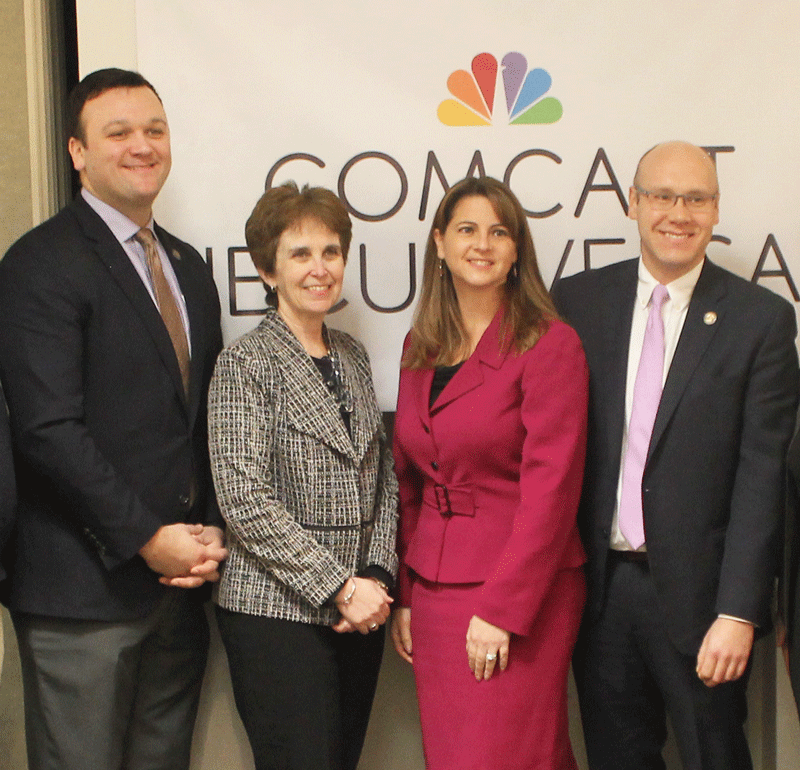 CROMWELL – Three House Republicans participated in the Middlesex Chamber of Commerce’s annual legislative breakfast. The legislators, State Reps. Christie Carpino (R-Cromwell), Devin Carney (R-Old Lyme), and Jesse MacLachlan (R-Westbrook) were invited by the chamber to answer general questions about how the legislature can help local businesses and the potential impact of the state budget on the economy. The discussion covered many topics including the prospect of implementing electronic tolls, tourism funding, and identifying potential private-public partnerships within the nonprofit community. According to the House Republicans in attendance, despite the projected surplus at the end of the current fiscal year there are massive out year deficits that balloon into the billions. In order to combat the potential budget shortfall in the near future, the legislature must find ways to help small businesses grow and prosper. Many House Republican Caucus proposals will strengthen the economy by increasing employment opportunities for people recovering from substance abuse issues. Additional proposals like requiring inter-agency reporting of fraud, or identifying services provided by certain state agencies that could be privatized, will also alleviate many of the concerns raised by chamber members.